One of the current aspects of business I find most fascinating is the model used to deliver value to customers. It is always rolling around in the back of my head as a see an advertisement, walk through a store or read a review posted online. There is the old school notion of who and where customers are and how they interact with the world, and the new paradigm that has emerged with the dawn of the social media age. 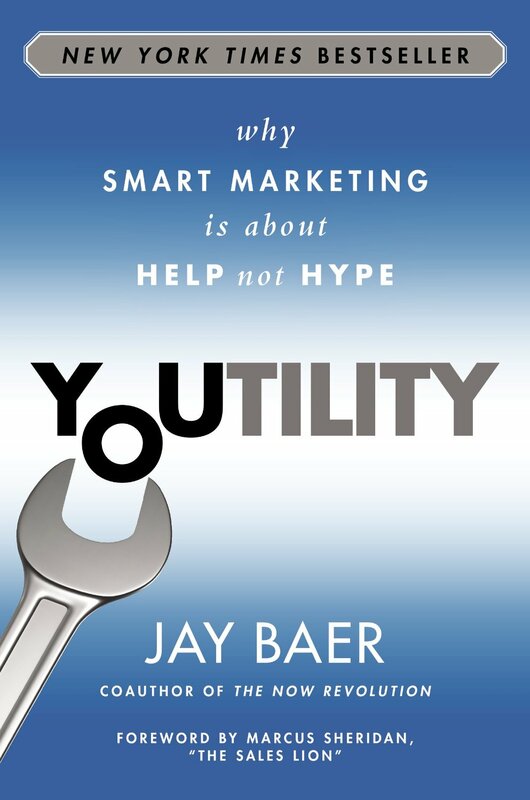 A book I just finished for a marketing class, Youtility by Jay Baer, is focused on the latter. The book details how companies are effectively promoting their brand through providing value to the public though, free, useful tools. This is an exciting concept that I had not thought about in this particular way. Youtility is the idea of providing the market self-serve information, which is radically transparent and has real-time relevancy. An example the book gives that I found most interesting is Hilton’s @HiltonSuggests program on Twitter. Hilton simply offers recommendations to those who ask about things to do, see and eat in cities all around the world. This program lays the groundwork for maintaining current customers and can provide the tipping point for finally converting consumers. Hilton’s program successfully hits on all elements that make up Youtility. Most everyone has heard of the Hilton brand, but this added element allows potential customers to connect with the company in a new way. On top of having a reputation for high-quality hotels, this useful tool allows customers and consumers to be given value, for free, when they need it. There were several other examples used, but this one stood out to me as a perfect representation the book’s point. With each chapter I read, I kept trying to think about why more companies don’t have programs like this. There are many programs out there, but it is certainly nowhere near the norm. Author Jay Baer points out a few understandable reasons; the breadth of social media’ power is not fully understood by many, there is no direct measure of return on investment with these programs, and it is not clear who in a company is responsible for overseeing these programs. I believe it boils down to many people see the potential, but no one wants to take on the responsibilities because, at the end of the day, they will be evaluated on a program where the results are not clear. Throughout the book, ideas came to mind on how I can promote Youtility. What I have come up with is offering a way for those who read my blog to request a topic that would help them in their professional life. So, I have created a new page on my blog called Ask Me where anyone can post a comment or email me with a request for a future blog topic. To kick off my own attempt at Youtility, click over to Ask Me and let me know what you would like to read about in an upcoming post.